This article is published in Agile NXT. 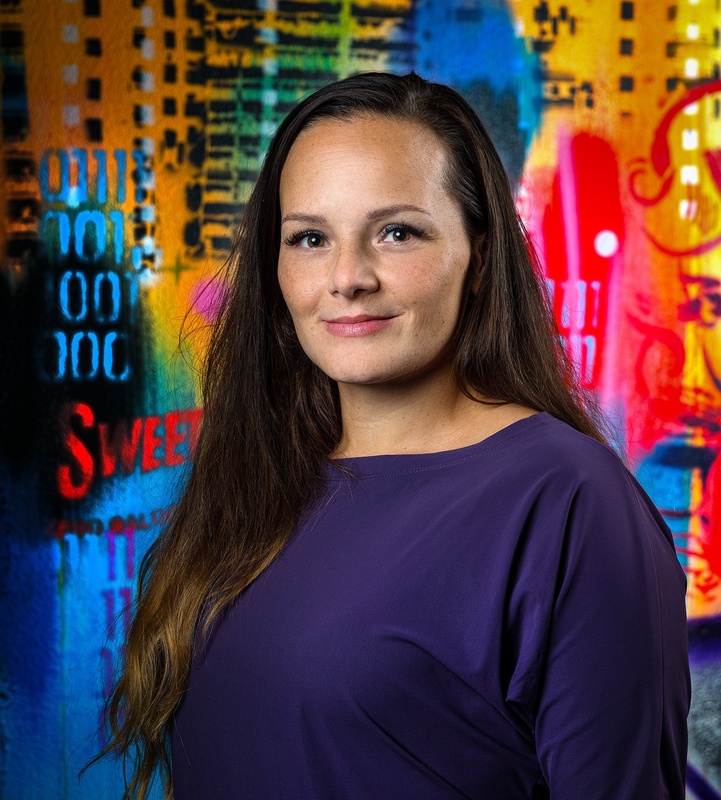 As an Agile coach with a passion for Scrum (and mother of three! ), I’m always on the lookout for innovative ways to boost and develop personal and professional mastery. I recently attended a powerful training, “Training From the Back of the Room Back of the Room,” devised by Sharon L. Bowman. It teaches you how the human brain works in a learning setting like a training or workshop. I discovered some interesting differences between traditional and brain-based learning that also apply in the workplace. This article describes some of the concepts I learned and how you can apply “brain science” to make your Scrum events more effective. The human brain has three parts which all have their own functions. The “reptile brain” is the primary brain which holds all primary life functions (breathing, heart rate, balance). The “mammal brain” is the part of the brain where senses, hearing and motor areas for the body reside. The human brain or “neocortex” is the part where the cognitive functions work. Cognitive functions are perception, language, action, attention, memory, consciousness, imagination, emotion and orientation. This article is published in Agile NXT. 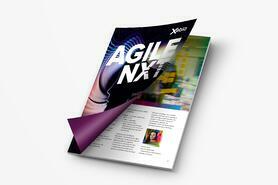 Agile NXT is a new magazine full of inspiration for professionals on the emerging Agile journey. It challenges you to think differently and improve yourself, your team, and company a little more each day. The cognitive functions of the neocortex are the focus of this article. These are the functions of the brain that allow us to absorb information and knowledge. To process information, you need memory, as well as language, orientation, attention, and problem-solving abilities. Reasoning, calculating, writing and reading are all cognitive functions. Brain science or neuroscience is the methodical study of how brain cells work and how the brain executes all its functions. Although the brain has been subject to extensive research, we still don’t exactly know what some parts of it do. In the training and her books, Sharon Bowman describes the “six trumps” of learning based on cognitive neuroscience that create a better learning experience for learners. What makes or breaks attention? What do you need to do to stimulate information processing? How can you optimize learning? These six trumps enhance learning based on the science of the brain. Physical movement increases cognitive function by increasing blood circulation. The brain receives more oxygen, which enhances our ability to think and learn. Moving every 10 to 20 minutes increases a participants ability to process information. Sitting for long periods makes thinking and learning more difficult because your body’s oxygen level decreases. Moving around keeps people awake, it enhances cognition and boosts memory. Movement ideas: Get people moving with simple stretching exercises, or by asking them to walk in place or around the room. Stand up to discuss in pairs, or ask people to write thoughts on sticky notes and post them on the wall to motivate moving. Even turning to discuss topics with other people is better than sitting still. Bottom line, take short body breaks to get the oxygen flowing. 1. You listen to what is being said. 2. You think about it. 3. You reply with an answer or thought in your own words. Talking helps you retain the infor­mation in your brain. By discussing it rather than just listening, the new information connects to what you already know. However, a person has to feel safe and comfortable to speak. Create a container where people feel safe to share. Get people talking by asking them to turn and talk to their peers, or use a talking stick. Stand up and discuss, in pairs or small groups. Hold discussions, small group presentations, role-playing or collaborative games. Vision trumps all other senses. Our brain stores images and sounds longer than it does words alone. We call an image anything that creates a mental picture. An image can be a photo, video, or a mental one formed in the imagination through story, metaphor, or analogy. Cases studies and visuals created by participants also form images in the mind. An image helps to activate the brain, it evokes emotions, it triggers long-term memory and creates shortcuts in the brain. Help people create mental metaphors and memory maps through doodling, stories, and graphical facilitation. If you add writing to the physical senses of seeing and hearing the brain stores that information longer. When writing, you use multiple senses, it requires physical movement and adds the sense of touch. Your body and mind are engaged. Writing enhances the involvement because it helps you to review content, which reinforces it. Writing stimulates memory, is kinesthetic and it grabs and holds the attention. Writing helps to focus; you have to think about what you write when you are writing. You process information three times when you are taking notes in a learning environment: you hear it, you think about it, and you translate it to paper. When you write, you are already thinking about what you should write, thus evaluating and ordering the information that you receive. The process of thinking before you write helps to fix ideas more firmly in your mind. Writing leads to higher and easier recall and better retention of the information presented to you. Ask people to practice outlining, mind mapping, doodling, drawing icons and filling in blanks. Our cultural conditioning and the natural way our brain works makes it “check out” after ten minutes or so unless something happens that grabs our attention again. The attention grabber could be a change in our environment, the way content is presented, people moving or the way a meeting or training is facilitated. Disrupting attention helps the brain “chunk” content or information into smaller parts. People remain alert and stay engaged when you work with smaller pieces. When people pay more attention to what they are hearing, they understand it better and remember it longer. Break up content by giving small tasks and short assignments. Keep meetings brief. Change up the learning environment and your facilitation style. You (and your brain) don’t pay attention to boring things. Your brain will eventually ignore everything that is continuously the same. Use a variety of teaching and learning techniques to activate and engage people. Anything new, unexpected, unusual or extra­ordinary will capture the brain’s attention. So change things up regularly, mix and vary! Develop surprising ways to engage your audience. Introduce dot voting (voting with dots on subjects), or a data hunt (go around a room to gather information). Employing any of these six trumps during your Scrum events can help the attendees focus and pay more attention. Brain science can improve their problem solving and innovation abilities as well. Engaged, involved and activated attendees will learn more from the experience. By stimulating openness and commitment, you also avoid negative thoughts and create happier people. Even introverted attendees will benefit from brain science when you create the space for them to speak up (for example, in smaller groups) and foster respect and trust.
. Maintain attention by rotating the order of the team members’ contributions.
. Short check-in round at the start.
. Move around (get up to the board).
. Write down the items on sticky notes.
. Visualize the business value.
. Let stakeholders handle the mouse.
. Let every attendee write down one improvement for the shown functionality.
. Let stakeholders write or draw their feedback.
. Use different ways to involve stakeholders (e.g., Sailboat game).
. Engage everybody and stimulate discussion.
. Try different formats to spark creativity.
. Talk to each other.
. Make important stuff visual (Definition of Done on the wall, the Sprint Backlog visible for everybody). I learned a lot from Sharon Bowman’s “Training From the Back of the Room,” and her six trumps of learning based on cognitive neuroscience. Knowing how the human brain works and how its cognitive functions allow us to absorb information and knowledge isn’t just interesting, it’s useful for business. When we keep movement, vision, writing, images, brevity, and variety in mind, especially in our Scrum events, we process information better and faster, which can help us work more effectively. 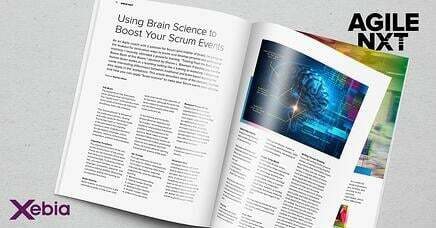 Want to know more about using Brain Science and Scrum? Download Agile NXT and change your tomorrow.